Struggling to Attract Quality Leads? Here's How to Generate Leads. Most companies only contact 27% of leads. With effort, you can reach out to 92% or more of your leads. Having more client leads will help your business grow. Quality content attracts law leads to your website. Your content should offer useful information about topics that are relevant to your audience. Offer advice about legal situations that people find themselves in. For instance, if you specialize in DUI law, write articles about what someone should do if they get charged with a DUI. Unlike other services, lawyers don’t fulfill a desire so much as they solve a problem. When creating content, focus on the problems you’ll solve for consumers. For instance, if you specialize in family law, write about divorce, child support, and other relevant topics that will resonate with your audience. In order for content to succeed at generating leads, it must be SEO-friendly. Employing SEO tactics on your website will boost your ranking in search engines. This improved ranking will expose your website to more prospective clients, thereby attracting more client leads. Use powerful keywords and local SEO to attract the audience you’re targeting. For instance, you can include keywords such as “divorce lawyer in (your state)” or “DUI attorney in (your city)” to attract local leads. Take advantage of long-tail keywords too. Long-tail keywords are descriptive keywords that consist of 3 or more words. They are highly specific and effective at targeting buyer personas. If you’re wondering how to get leads online, know that social media is your friend. Your law firm should have accounts on Facebook, Twitter, Instagram, and Twitter. Actively running ads on these platforms will generate leads. Aside from ads, you’ll be relying on your social media posts to attract leads. Use hashtags that relate to people who are looking for lawyers in your area of expertise. Post your content on social media with compelling images. People are more likely to interact with your content and share it if you include an eye-catching image. Always be approachable, polite, and timely when speaking to consumers on social media. Answer any questions consumers have about your law firm or legal situations. 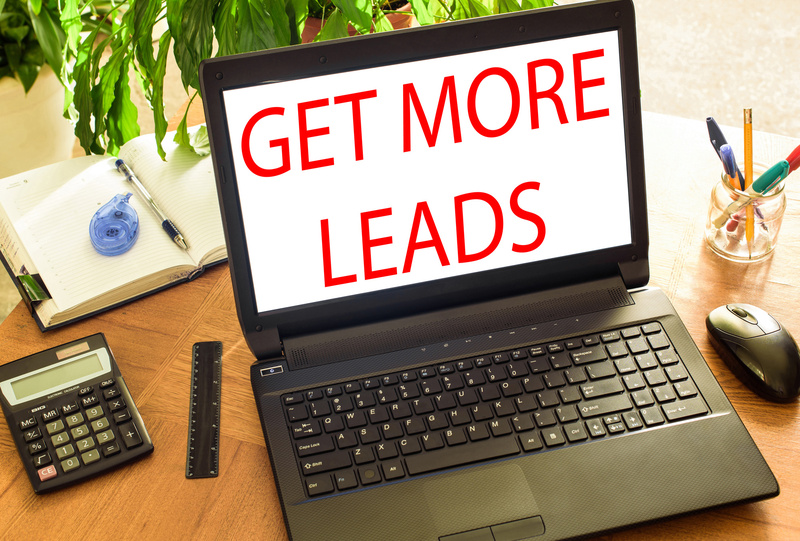 Another important way to get leads is to have a lead-generating website. Your website should be designed with prospective clients’ convenience in mind. Your landing page should be easy to navigate. There should be a visible call-to-action button on your website. Your drop-down menu must be simple and organized. Focus on making your website as fast as possible. Internet users are more likely to stay on a fast website instead of a slow one. Use a live chat feature on your website to get more direct leads from visitors. Only 37% of companies contact leads within an hour. Learning how to generate leads, and contacting them ASAP, is one of the best things you can do for your law firm. Around 24% of businesses contact leads within 24 hours. In order to turn leads into clients, you need to strike while the iron is hot. Contact leads as soon as possible and whatever you do, don’t give up. Lay down the law and learn more useful tips for running a law firm. Your business will thank you for it.